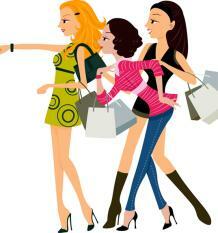 Casting Call for Local Shoppers! Hello Tampa Bay, Alex here with a great opportunity for any women in the area who love to shop. A casting call is taking place this Wednesday for a commercial that is promoting a nationwide retailer. They are seeking real women shoppers of all ethnicities who are between their late 20s and early 50s. They are looking for positive women from the Tampa Bay area who lov e to bargain shop! If this describes you, make sure to audition on January 25th. The audition will consist of a brief interview. No experience necessary! If you would like to be considered please email AubreyV247cast@gmail.com AND heather@247cast.com with a recent photo and a brief description of yourself and why you like bargain shopping. Auditions are by appointment only! than 3 p.m. on Wednesday, January 25th. Callbacks will be held in Tampa/St. Pete area during the last week of January. The commercial shoot will be in Tampa in early February; the exact date has not been determined. The four women ultimately selected for the commercial will receive a “Gift Card” from the National Retailer! Good luck to everyone auditioning! Check back with us often for more Tampa Bay Film news!